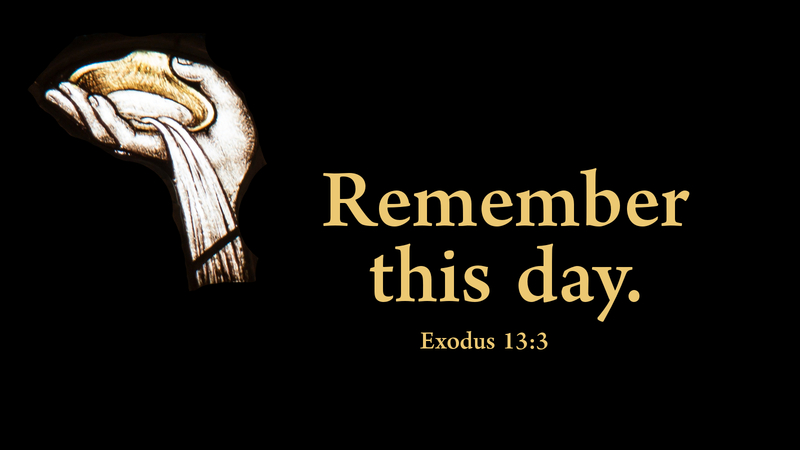 “Remember this day.” How many days in our lives do we remember vividly? Perhaps graduations, weddings, birth of a child, death of a loved one. The magnitude of an event determines whether it will be etched into our conscious memory or simply pass into another day among many. I was 12 years old when I was baptized. I remember the day, not because of the baptism, but because I got a brand new dress. As one of seven children in a working class family, new dresses were few and far between; so a new dress, chosen by me just for me, was a very special occasion. I felt beautiful, a rare and unfamiliar feeling. Little did I understand at the time that my baptism also clothed me with a brand new dress. I was brought out of the house of slavery to sin and death by the strong hand of the Lord, claimed by God as his child, chosen by him just for him. My brand new dress is a vivid memory; and now, knowing that I was clothed with the brand new dress of baptism, I feel beautiful, because in his eyes, I am. And I remember the day. Prayer: Lord God, help us to always remember the days when you acted powerfully in our lives, the greatest of them being the day of resurrection. Amen. Today’s devotion was written by Marty Ramey, interim pastor of Salem Lutheran Church, Salisbury, NC. I love the daily lectionary! I’m glad this is beneficial, Katherine. We’ll keep doing them! We have 75 of our NALC pastors involved in this project. Please keep them in your prayers.